Michael Jordan needs no introduction since he is already known as the player who dominated basketball. One thing this sports legend is respected for is his energy and rumour has it that his pre-game rituals include eating a lot of steak. This makes it quite easy to understand why he would do well in the restaurant game by opening a few steakhouses. 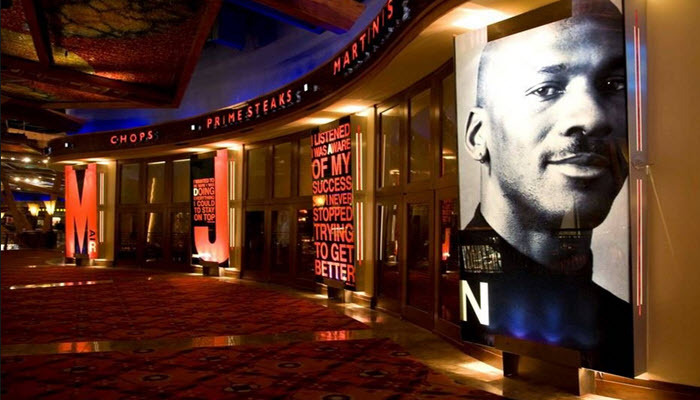 Restaurants owned by Michael Jordon includes the Sol Torro Tequila Bar, One Sixty Blue and the Michael Jordon Steakhouse. Born on the 17th of February 1963, Michael Jeffrey Jordon is also called MJ, and the former basketball professional has played for the Washington Wizards and Chicago Bulls in the NBA for fifteen seasons. He is the all-time greatest basketball player and the most effectively marketed athlete in his generation and considered the most athlete that single handily promoted NBA the most, worldwide. Currently, he is the chairman and principal owner of the Charlotte Hornets in NBA. On the 14th of February 1990, Michael Jordan wore a nameless jersey in the game against the Orlando Magic team since his number 23 jersey was stolen. It is also the game in which Jordon scored 49 points, which was a record for players wearing a number 12 jersey that displayed no name. Michael Jordon’s Steak House Based in Washington State, Connecticut & Chicago. It is designed by David Rockwell and managed by the Glazier Family Group. The restaurant based in Grand Central focusses on Jordon the businessman and features no sports memorabilia, while it occupies a space of 7,000 square foot and offers seating to 210 guests. One of the most enjoyed dishes is the flank steak and to add a touch of Italian flavour it is prepared with olive oil, balsamic vinegar and garlic. 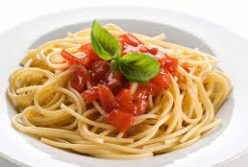 If you not likely to visit Michael Jordon’s Steakhouse anytime soon, you can still enjoy one of the top meals on the menu, by using the recipe below. Combine the garlic, vinegar, oil, thyme in a blender until smooth. Pour the marinade over the steak in a large ceramic dish or glass bowl and allow it to rest for 5 minutes. Heat the pan, use salt and pepper to season the steak, grill it over moderate to high heat, turn it only once after allowing around 8 minutes per side. Allow a 10 minute rest once removed from the pan, then slice & serve. Challenge – Can You Finish the Most Calorie Rich Burger in The World?